The name Louisa Lawson may be familiar to many of us as the mother of poet Henry Lawson. Louisa is also remembered as a writer, poet, newspaper proprietor and suffragist in her own right. Louisa was born on 17 February 1848 at Guntawang, near Mudgee NSW, to Henry and Harriet Albury. When she was 18 years old she married Niels Hertzberg Larsen, a Norwegian-born gold miner and builder. Niels later anglicized his name to Peter Lawson. 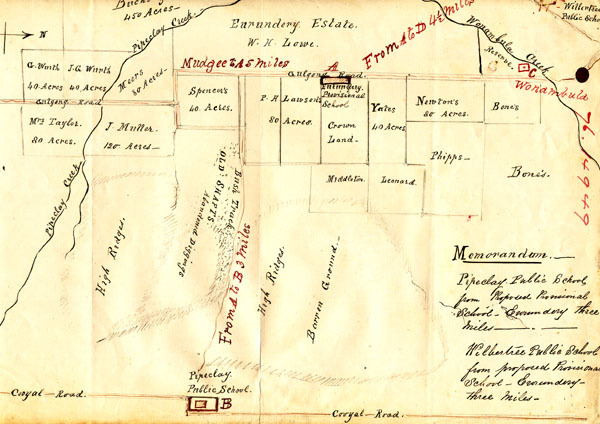 They settled at Eurunderee (also known as Pipeclay), near Mudgee and by 1877 had five children, Henry, Charles, Peter and twins Annette (died at eight months old) and Gertrude. Louisa spent long periods alone, running the farm and looking after her family. In 1883, she moved to Sydney with her children, effectively ending her marriage to Peter. By 1888, Louisa had started The Dawn, a fortnightly journal for women, that combined household hints, stories and fashion with political comment. The Dawn was an immediate success and continued to be printed until 1905. 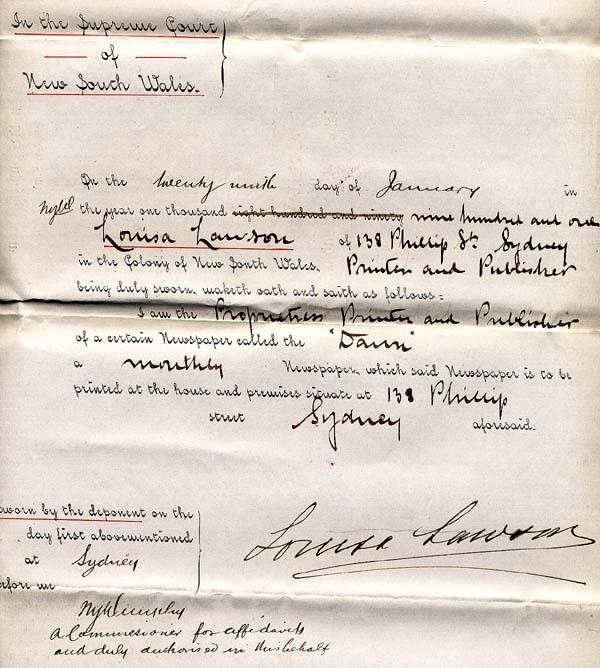 From 1891 Louisa was also a member of the Womanhood Suffrage League of NSW and actively campaigned for the enfranchisement of women. This campaign was successful and from 1902 women could vote in NSW. In about 1904 Louisa published one of her own stories, Dert and Do, and followed this up in 1905 with a collection of poetry entitled The Lonely Crossing and other Poems. Louisa died in Gladesville Hospital for the Insane in 1920 and was buried at Rookwood Cemetery. This Conditional Purchase entry is interesting because of the notation of 'The Dawn' newspaper beside Louisa's name. Louisa left her husband in 1883 and came down to Sydney with the children. Louisa started publishing 'Dawn' in 1888 and her husband's death in December of that year enabled her to enlarge the publication with the proceeds of his will. From NRS 8109 [7/4690], CP75/240. 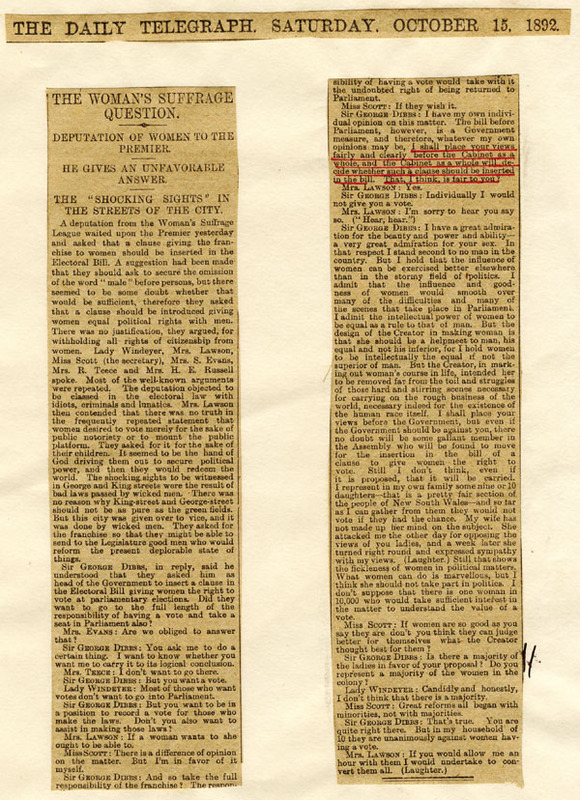 This newspaper clipping, dated 15 October 1892, from the Daily Telegraph, gives a report of a meeting between members of the Woman's Suffrage League and the Colonial Secretary. The League was active in arguing for equal political rights for men and women, in particular, the right to vote. Louisa was an active participant and council member of the League for many years. This article contains several quotes attributed to Mrs Lawson. 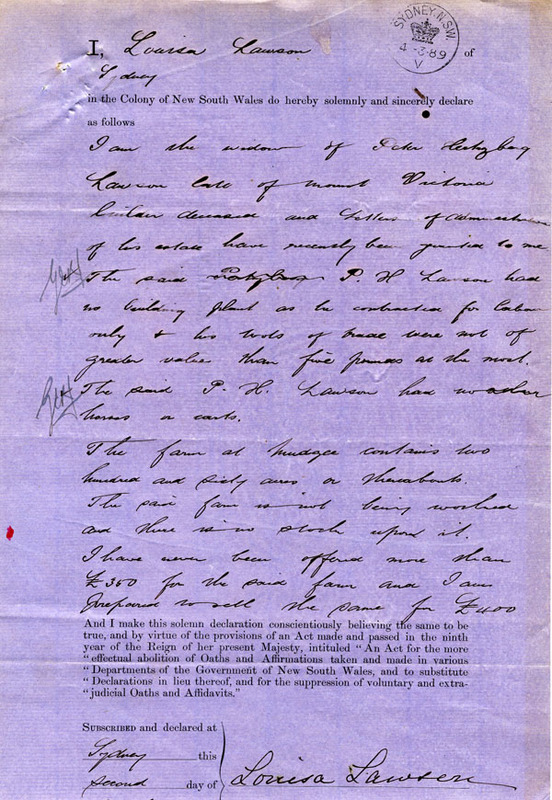 From NRS 905 [5/6120], letter 93/2813. Louisa's husband, Peter Lawson, died on 31 December 1888. 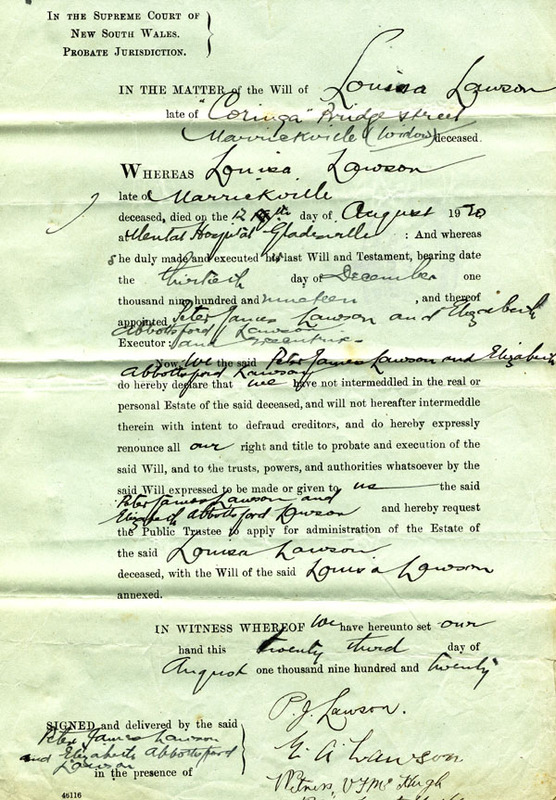 This handwritten declaration by Louisa is part of the Deceased estate file for Peter. He named Louisa as the executor in his will. 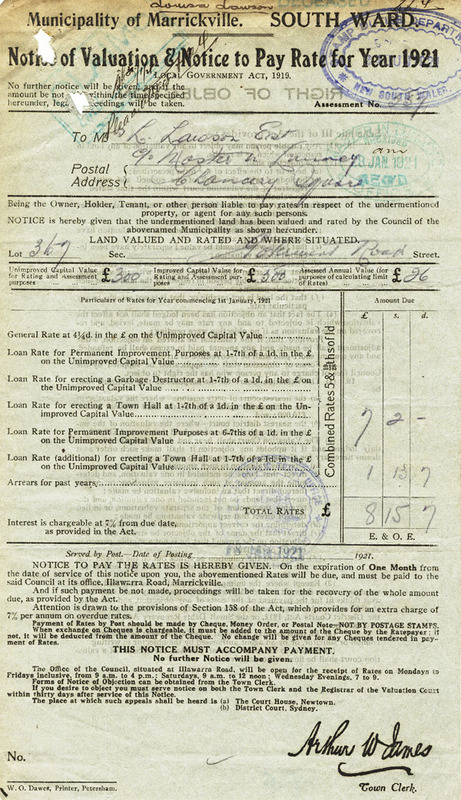 The estate included a number of land purchases and money to the value of £1103. 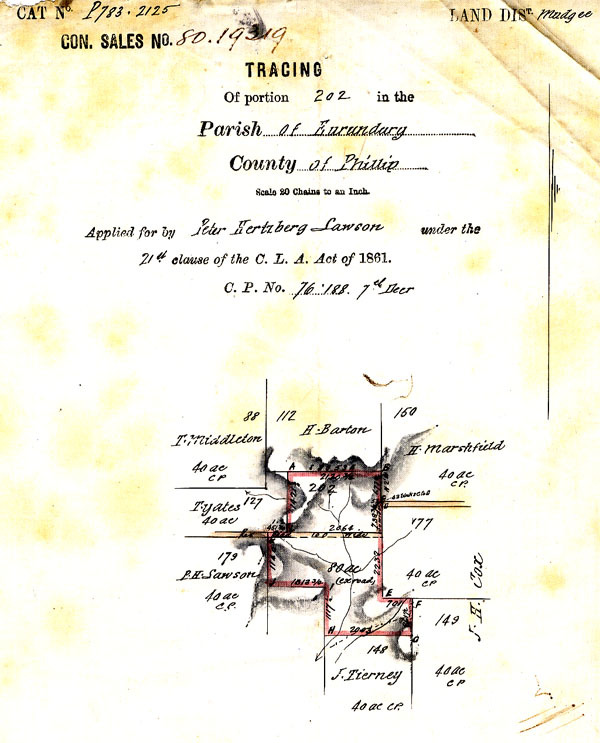 Louisa went on to sell off a number of the conditional purchase grants but kept one block of land, the original grant of CP 73/8007. 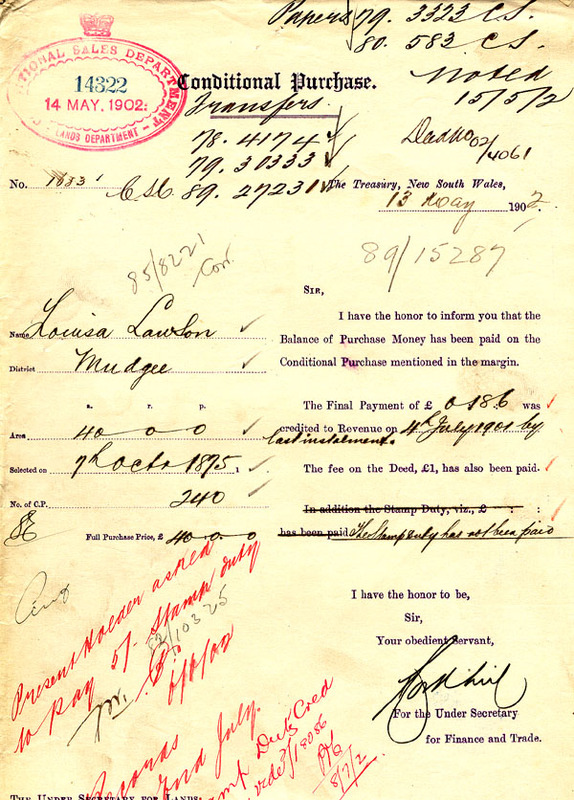 From NRS 13440 [20/10A], Date duty paid 04/03/1889. After Peter's death, Louisa was the exectuor and main beneficiary in his will. This letter from the Lands Dept confirms the transfer of the land held under conditional purchase grants (CP 240) from Peter to Louisa. 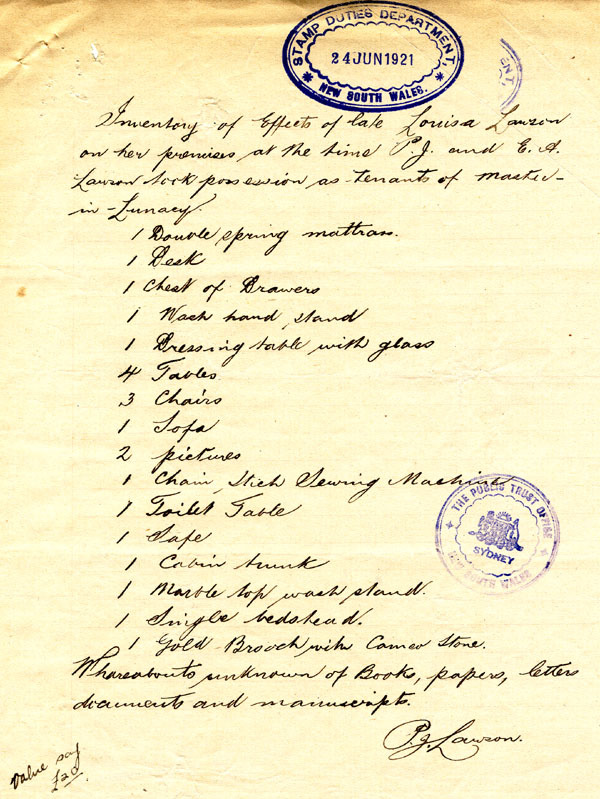 Louisa completed the necessary final payments of monies owed on these conditional purchases. From NRS 8103 [10/19082] 02/14322. Louisa died in Gladesville Mental Hospital on 12 August 1920 after being admitted in 1918. 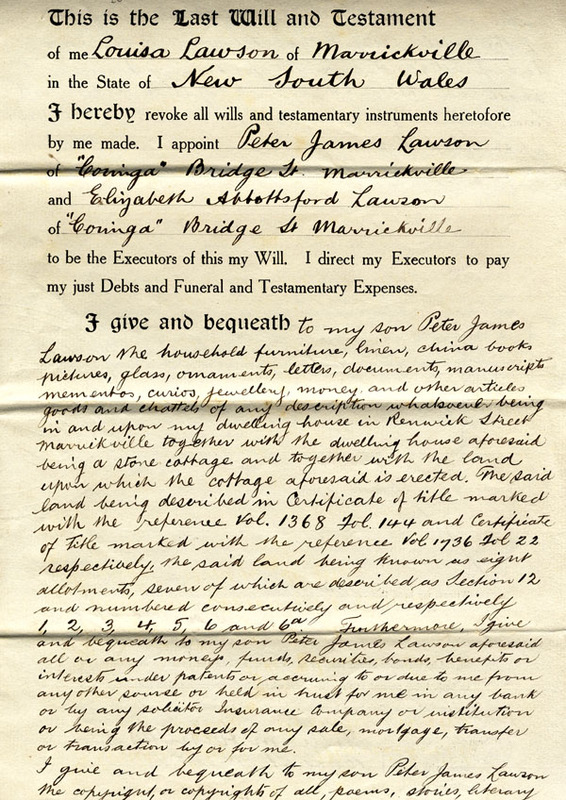 She named her son and daughter-in-law, Peter and Elizabeth Lawson as executors of her will, as shown below. From NRS 13660, 4-106964.